Following up our article about the things to do in Portoroz, we just created and released our active tour program. Portoroz has a perfect location for an active break, either in summer months or in spring and autumn it offers a wide selection of different options. 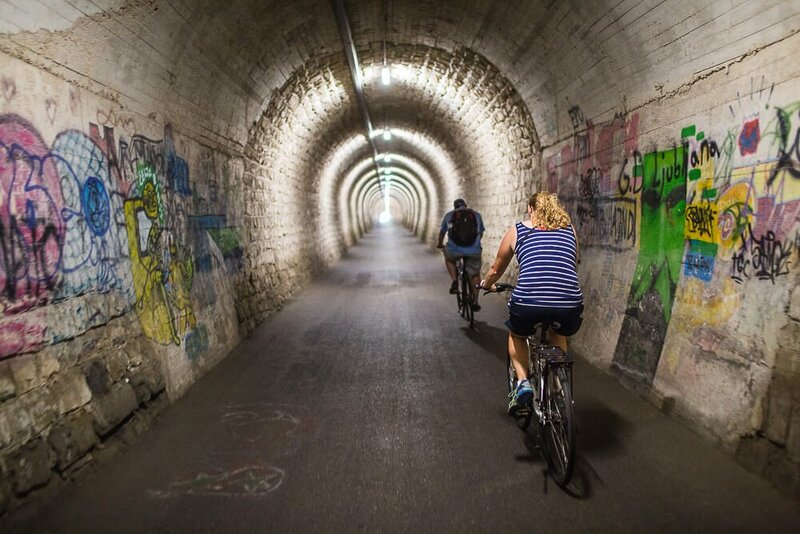 Why not decide to explore Slovenian Coast with a guided biking tour. We launched a variety of biking tours that can suit different demands. From a culinary biking experience to an advance bike tour in the Karst region, your days can combine traditions with activities. The alternative options are either renting a bike directly in our office or enjoy an ‘on your own’ biking tour with the help of our tasting spots. We will be more than happy to assist even on a multiday biking program for individuals and groups. First of all, thank you so much for organizing the tour for us. I received the link for the trip advisor review, and I’m just trying to find words to describe how wonderful a trip it was. When I talk about my experiences in Slovenia, this guided cycling adventure will most certainly be included. Sasha was able to provide a perfect amount of your interesting history during our journey. He lead us on paths that we were comfortable with, but at the same time, took us to views many people might miss. The stops were perfectly timed, and we loved every minute of it! With a professional hiking and nordic walk guide, you can head towards the exploration of Slovenian Istra. It has many hidden corners, where local hospitality and unique insight into the culture will offer you a unique visit. Nordic walk itineraries can be also tailor made in order to offer a nice option for morning recreation. The unique Salt spa offers the opportunity to enjoy in the regional park of Secovlje salt pans. With the sound of the sea and birds, you can let yourself relax with sea related treatments. Our service provides you also a nice panoramic boat ride before reaching the spa. Our guide was amazing on this tour. We were treated to a wonderful boat tour along the Slovenian coast (Piran, Koper, Portoroz) and then taken by boat through the salt pans to the salt spa. All the arrangements with the spa were made in advance via KoperTours and we enjoyed a fabulous mud wrap, salt scrub, and massage. The spa is extremely unique in function being completely outdoors and I would highly recommend the salt spa experience through KoperTours as a nice closer to a Slovenian trip. Thank you KoperTours for a lovely experience!!! We especially enjoyed the lovely private boat tour and the ease in which you transported us to the spa and back. Thank you and we look forward to returning to Slovenia in the future. If you are looking for a day at sea, we added this year to our offer two tours with the sailing boat. Either a day learning the basics of the sailing or enjoy the day with a nice swim into the Adriatic Sea, the choice is there. If you are looking for a group activity of a sightseeing boat cruise, contact us and we will provide you a proposal based on the local knowledge of the destination. Come and visit the Slovenian coast in order to experience its active tour options. You can easly search for your best choice on our web page link: http://www.kopertours.eu/tours/portoroz/. Our team will be happy to assist any of your demands.